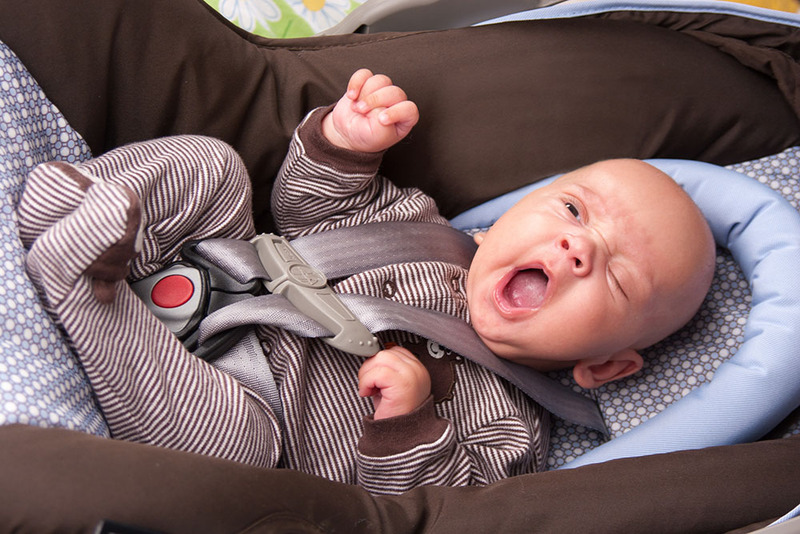 Parents with little ones know how a good car seat can make life easier. The thought of their baby safely and comfortably sitting or sleeping in the car seat while they travel around doing their numerous chores can be a relief. Chicco empathizes with this need of parents and designs a variety of infant car seats to provide them with the sense of comfort and safety they need when traveling with their little ones. The entire range of Chicco NextFit infant car seats comes with a host of standard features that give them a strong edge over other such car seats. 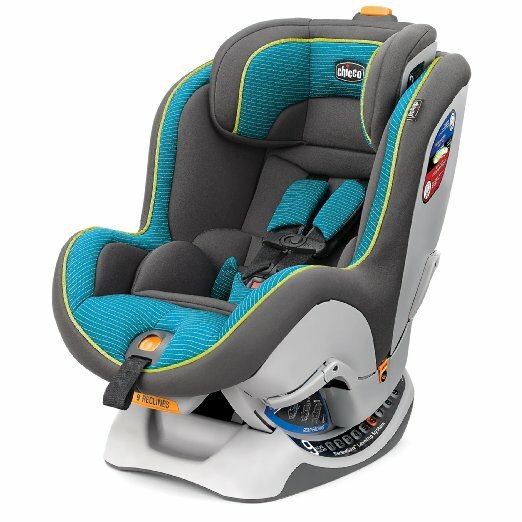 These Chicco Nextfit Reviews look at all the key features of these seats including the ease of installation and use, the tight fit it provides, and the perfect adjustment facility of these seats. Read on to find out if these top rated convertible car seats are the right choice for your loved one. The Chicco NextFit infant car seats are equipped with a Recline Sure 9-position leveling system to provide more reclining options for your baby than any other convertible seat. So your baby’s seat can easily fit into a large variety of vehicles. These convertibles have two Ride Right bubble levels to indicate the correct seat angle in forward- and rear-facing modes, making all rides absolutely a breeze for your little one. To ensure a secure and tight fit, effortlessly and seamlessly, Chicco NextFit seats come with an exclusive Super Cinch LATCH Tightener. The force-multiplying technology used makes latching the seat into the car easy and simple. It’s extremely easy to reposition the LATCH strap and convert the seat mode from forward facing to rear facing, and vice versa, thanks to the integrated slide path of these seats. Your growing baby can be easily accommodated in the seat with the adjustable 6-position headrest, equipped with integrated harness adjustment. It has a 2-position chest clip for growing kids and an infant insert for smaller babies. So the seat is good for your child from infancy to pre-school stage. The lifespan of the car seat is 8 years. The expiration date is stamped on the seat. In addition to the standard features, the various models of Chicco NexFit car seats come with their own distinctive advantages. The ​Chicco NextFit Convertible Car Seat, Matrix​ is the cheapest model in our Chicco NextFit Reviews. The seat incorporates built-in lock-offs for vehicle belt installation and an integrated latch for storage compartments. It also has a thermal-insulated cup holder with a storage pocket. 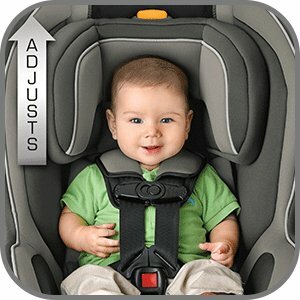 In the rear facing mode, it provides extra padding for smaller babies, starting at 5 pounds. It’s easy to install and quite simple to remove. The ​Chicco Nextfit Zip, Sapphire​ is our Chicco NextFit Reviews Best Choice! We think the zip feature on this convertible seat is every bit worth the extra money you’d need to spend to get it. Its exclusive Zip & Wash machine-washable seat pad makes it super easy to clean. If your child eats in the car then you will regret it if you don't buy the zip version! It also has a ComfortFlex Harness Management system that has padding as well as flex-out technology to hold the two sides of the waist belt while loading and unloading. The NextFit CX Convertible Car Seat is super easy to install, and switch between modes, in virtually any type of car. This one feature alone makes it great value for its price. 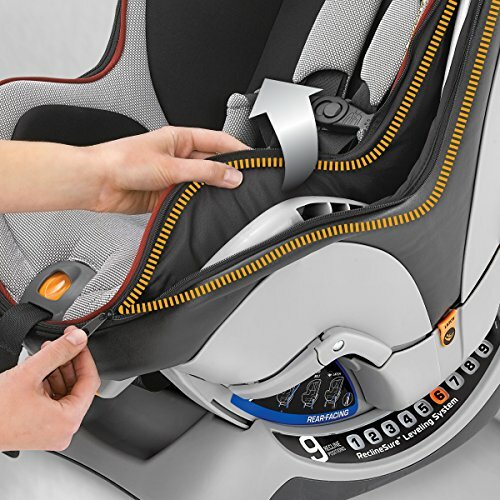 When it comes to the ​Chicco NextFit CX Convertible Car Seat, Skylight​, which also features the ComfortFlex Harness Management System, you’ll be amazed at the softness of the fabric and material used in the manufacture of this car seat. 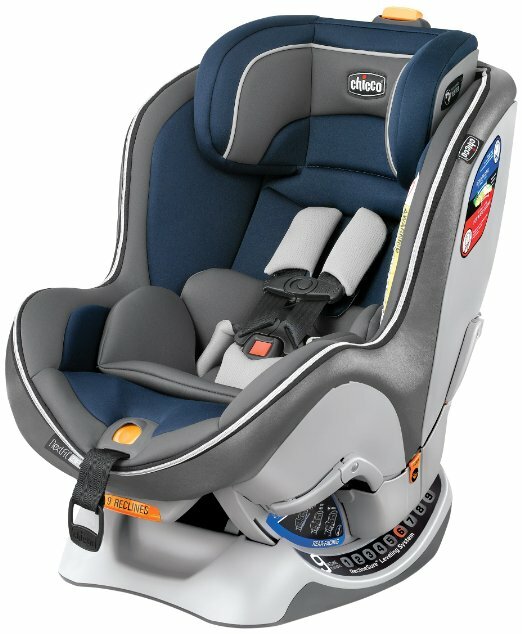 Despite the wide range of exceptional features and unique advantages, our Chicco NextFit Reviews have identified some potential disadvantages that were raised by users of the infant car seat. One needs to bear in mind that these disadvantages were raised in only a handful of reviews. 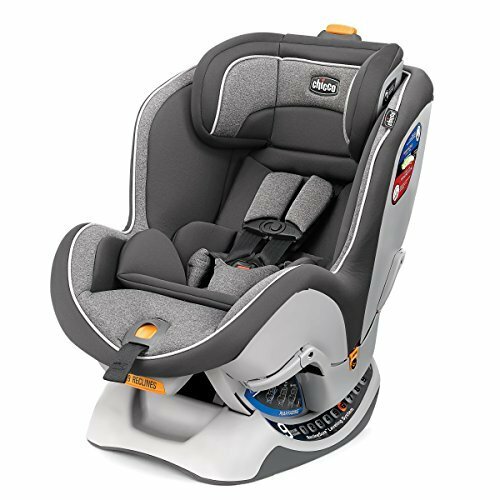 These are one of the highest rated convertible car seats you can find and the vast majority of Chicco NextFit Reviews provide the highest score. You may like to keep the following points in mind before choosing to buy one. All the infant car seats from Chicco NextFit are quite large and heavy (see above specifications), and take up a lot of space in the car. While the harness is a great security feature, tightening it has proved quite a task for some, particularly at first. It can take a lot of effort to tighten it to the position you need to keep your child secure and fit. This is reported to loosen up considerably with over a few weeks of use. Like the harness, even the headrest takes quite a lot of force to adjust, making it a difficult affair. The belt is so easy to unbuckle that your little one can easily do it, making it somewhat unsafe. With all that padding and cushioning it comes with, a minority of users have complained that the seat itself tends to get extremely warm, making a sweaty child; the fabric used in the construction adds to this problem. 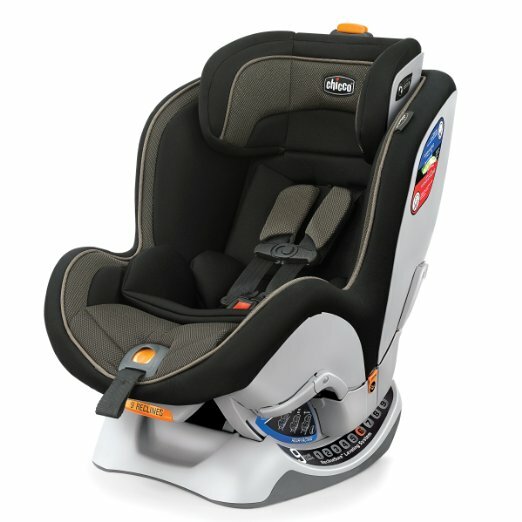 The seat is also very deep and lacking in air circulation, which can get quite uncomfortable for your little one if it remains inside for long. By and large, notwithstanding the few negatives, customers seem to be happy with the Chicco NextF﻿it infant car seats. Not only are they sturdily built, all these seats have some superior technological features that make them perfectly safe for your child. The range of adjustments provided makes it convenient for use for a growing baby, and you definitely won’t need to spend money every few months on a new seat just because your little one has outgrown the old one.